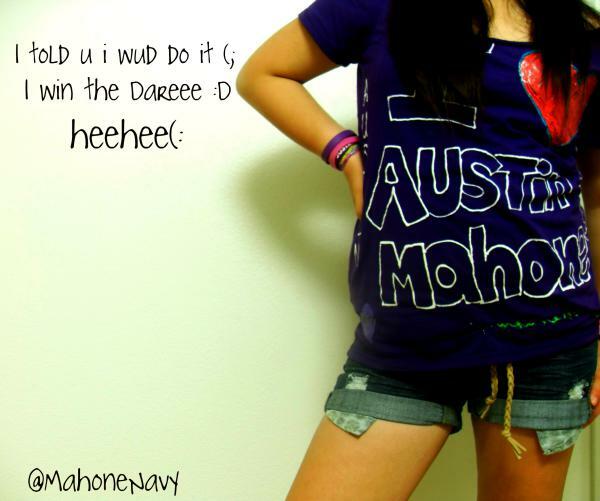 Austin Mahone: tshirt design contest!!!! ok so everybody asked me to make tshirts and i thought i would ask u guys to help me design my first one! send ideas and pictures to austinmahonefans@gmail.com and im gonna go through them and pick 10 and put them on my site TOMORROW NIGHT for everyone to vote on. the highest voted will be my top choice for my first shirt! 1 you dont have to make a tshirt just the design to go on it.